Paired associate learning allows us to learn all sorts of information. For example, each time we add a word to our vocabulary, we form an association between an object or concept and a verbal label. And when we learn a foreign language, we associate labels and concepts from our native language with new spoken forms in the foreign language. In the context of reading, paired associate learning involves visual inputs (letters) and verbal output (speech sounds/words). Letter-sound associations are at the foundation of reading. We know that letter knowledge in kindergarten is one of the strongest predictors of later reading success. Some children find it difficult to acquire letter knowledge, and difficulty learning letters despite adequate instruction is a risk factor for dyslexia. In my research, I investigate paired associate learning and its role in learning to read. I want to find out how children learn novel symbol-sound associations and which component(s) of learning act as a stumbling block for children who struggle to learn to read. To do this, I use artificial stimuli: novel symbols and sounds that are unfamiliar to the children. This is important because environmental factors such as educational opportunity, home literacy environment, and reading experience can all contribute to differences in letter knowledge. By asking children to learn new symbol-sound mappings, we can make sure that all children start on an even playing field. This allows us to then measure the processes specific to learning. Below is an example of novel symbol-sound mappings we use in our experiments with children. We ask children to learn different types of mappings. For example, in visual-verbal paired associate learning, children learn to pronounce the name of symbol when it is presented to them. In verbal-visual paired associate learning, children learn to draw or recognise a symbol in response to hearing the associated word. This mapping most closely approximates spelling, whereas the first approximates reading. We can contrast these types of learning with nonverbal paired associate learning, in which children learn visual-visual mappings; we can also consider verbal-verbal paired associate learning, in which two spoken words are associated. By contrasting different types of paired associate learning, we can isolate each component of learning to understand how it is related to reading ability. What have studies of paired associate learning taught us about reading and dyslex ia? One of the most important findings to come from studies of paired associate learning is that learning to read is not a reflection of general associative learning ability. Nonverbal associative learning (i.e., visual-visual) does not predict variations in reading ability. Additionally, children with dyslexia are not impaired in nonverbal paired associate learning. These findings illustrate that the ease or difficulty with which children learn to read is not a reflection of general learning capacity. Instead, paired associate learning is only related to reading ability when it requires children to learn and produce verbal labels (i.e., visual-verbal, verbal-verbal). It seems that the ability to learn and recall spoken word forms is strongly related to learning to read. This may be because verbal paired associate learning tasks index more general language skills, particularly the phonological aspect of language, which is critically involved in the development of accurate and fluent reading. Turning to dyslexia, we know that people with dyslexia often have problems with phonological processing: they find it difficult to identify and manipulate individual speech sounds in words, and to retrieve and produce the names of symbols or objects. This is reflected in studies of paired associate learning: children with dyslexia struggle in verbal paired associate learning tasks (i.e., visual-verbal, verbal-verbal), despite showing normal learning of nonverbal associations. 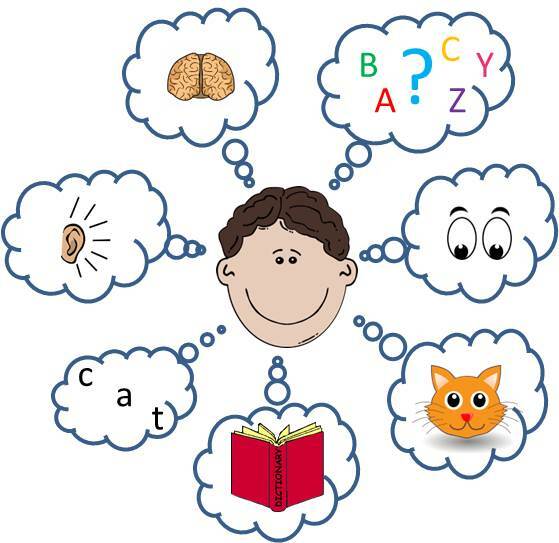 Interestingly, children with dyslexia do not seem to be impaired in learning verbal-visual associations. This differs from visual-verbal and verbal-verbal paired associate learning in that it does not require children to retrieve and produce the novel words. This finding indicates that (a) difficulties stem from problems specific to the retrieval and/or output of spoken word forms, and (b) children with dyslexia are not generally impaired in learning symbol-sound associations (because symbols and sounds can be associated in the verbal-visual direction, but not the visual-verbal direction). This suggests that children with dyslexia may have more knowledge about the relationships between symbols and their associated sounds than they are able to demonstrate on tests that require them to name the symbols aloud. To summarise, research on paired associate learning has demonstrated that learning symbol-sound correspondences relies much more heavily on phonological skills than was previous thought. Furthermore, individual differences in associative learning cannot account for why children with dyslexia struggle to learn symbol-sound correspondences. Instead, it seems that the processes involved in learning, retrieving, and/or producing verbal labels for symbols act as a stumbling block for children with reading difficulties. In collaboration with colleagues at Macquarie University, I’m currently exploring this hypothesis. Our latest findings suggest that the phonological output deficits seen in dyslexia are not a result of impaired acquisition. Dr Robin Litt completed her doctorate in Psychology at the University of Oxford. She is now a Research Fellow at the Australian Research Council Centre of Excellence in Cognition and its Disorders and a member of the Department of Cognitve Science at Macquarie University. Byrne, B., Coventry, W. L., Olson, R. K., Samuelsson, S., Corley, R., Willcutt, E. G., & DeFries, J. C. (2009). Genetic and environmental influences on aspects of literacy and language in early childhood: Continuity and change from preschool to Grade 2. Journal of Neurolinguistics, 22(3), 219-23. Hulme, C., Goetz, K., Gooch, D., Adams, J., & Snowling, M. J. (2007). Paired-associate learning, phoneme awareness, and learning to read. Journal of Experimental Child Psychology, 96(2), 150–166. Litt, R. A., de Jong, P. F., van Bergen, E., & Nation, K. (2013). Dissociating crossmodal and verbal demands in paired associate learning (PAL): What drives the PAL–reading relationship? Journal of experimental child psychology, 115(1), 137-149. Litt, R. A., & Nation, K. (2014). The nature and specificity of paired associate learning deficits in children with dyslexia. Journal of Memory and Language, 71(1), 71-88. Muter, V., Hulme, C., Snowling, M. J., & Stevenson, J. (2004). Phonemes, Rimes, Vocabulary, and Grammatical Skills as Foundations of Early Reading Development: Evidence From a Longitudinal Study. Developmental Psychology, 40(5), 665–681. Nation, K., Marshall, C. & Snowling, M. J. (2001). Phonological and semantic contributions to children’s picture naming skill. Language and Cognitive Processes, 16, 241-259.